This page describes how to set install MeshGenC++. If you encounter any difficulties in the installation process, please send e-mail to the discussion group. The MeshGenC++ code is distributed using the file revisioning system known as Git. Git can be download for free from http://git-scm.com. The MeshGenC++ code is written in C++. You will need to obtain a C++ compiler. A free C++ compiler is available via the GNU project. A key step in generating a mesh using MeshGenC++ is to create a delaunay triangulation for a given set of nodes. This is accomplished using the Qhull code, which can be freely downloaded from http://www.qhull.org. 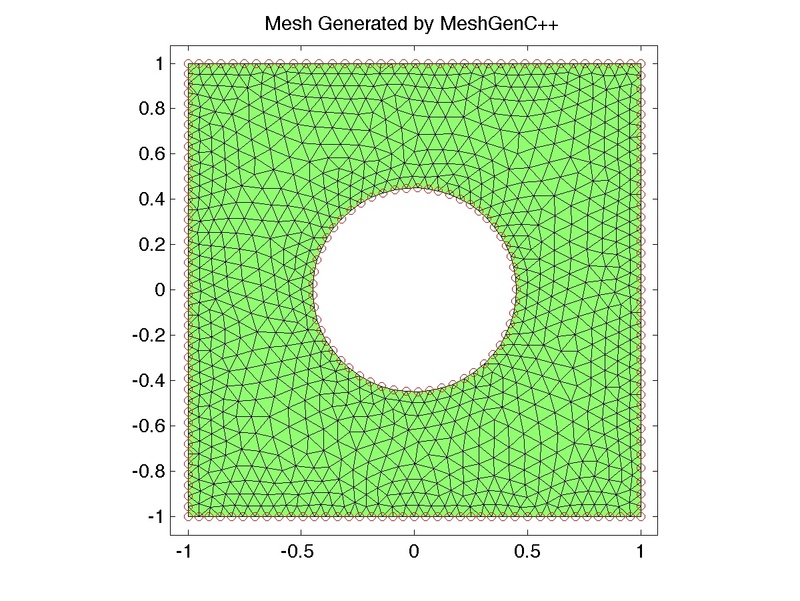 The MeshGenC++ distribution includes several MATLAB scripts that can be used to visualize the results. If you wish to run these scripts you will need a valid MATLAB license. MATLAB is not an open-source software package. 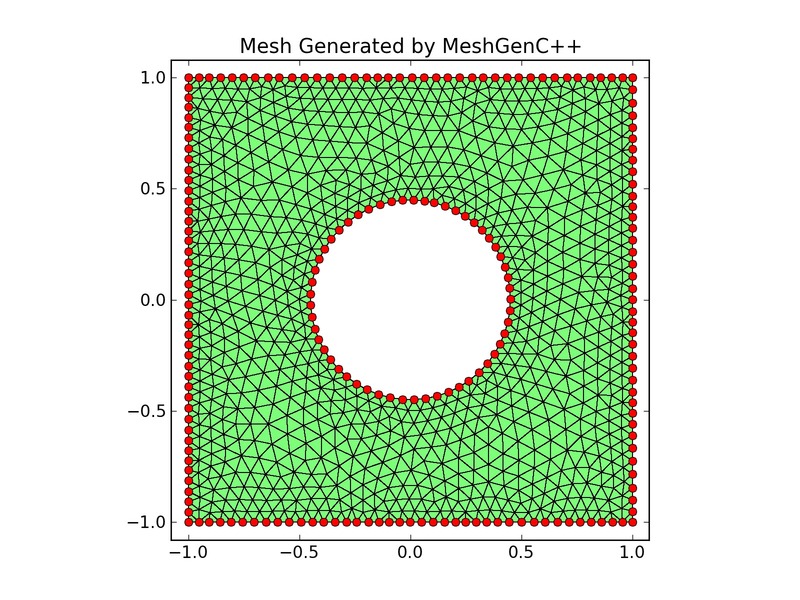 For open-source plotting in MeshGenC++ see Python. Alongside the MATLAB plotting scripts, the MeshGenC++ distribution also includes Python plotting scripts that invoke matplotlib. This provides an open-source alternative to MATLAB. In addition to basic Python, the plotting routines need numpy and matplotlib. The MeshGenC++ developers recommend the Enthought Python Distribution to obtain a modern Python with several important scientific computing libraries installed "out-of-the-box". 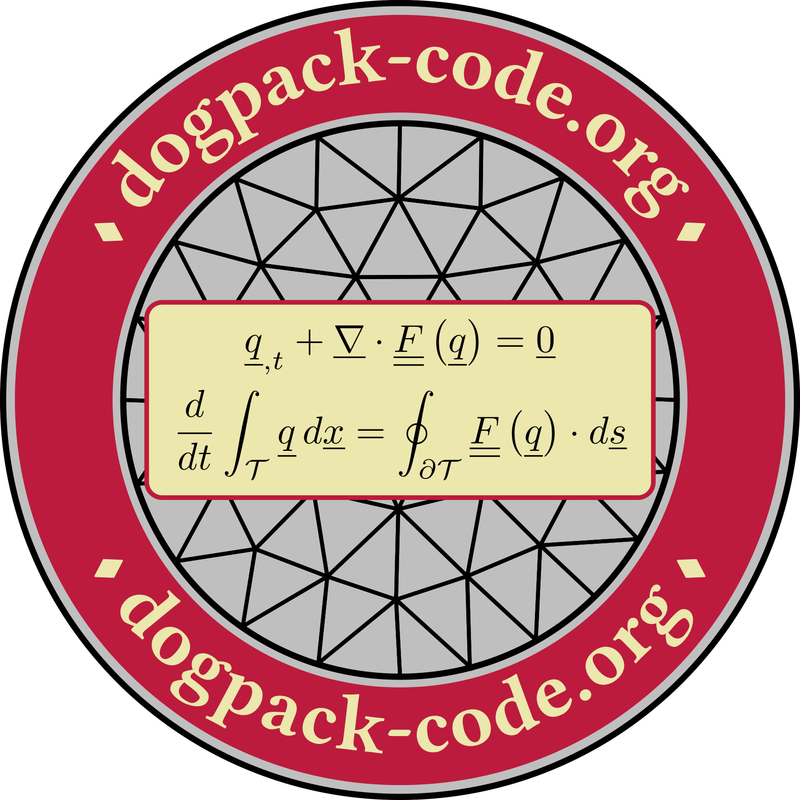 The Enthought Python Distribution is freely available for academic use. 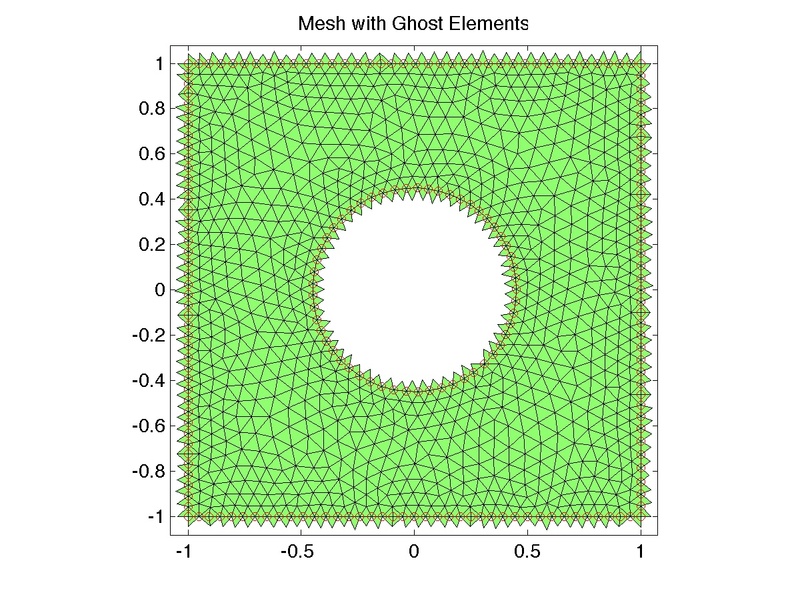 In the current release, Python plotting scripts exist only for 2D meshes. Before executing this command, first open MATLAB, then change directory to the $MESHGENCPP/apps/2d/square_circ directory in the MATLAB command window.